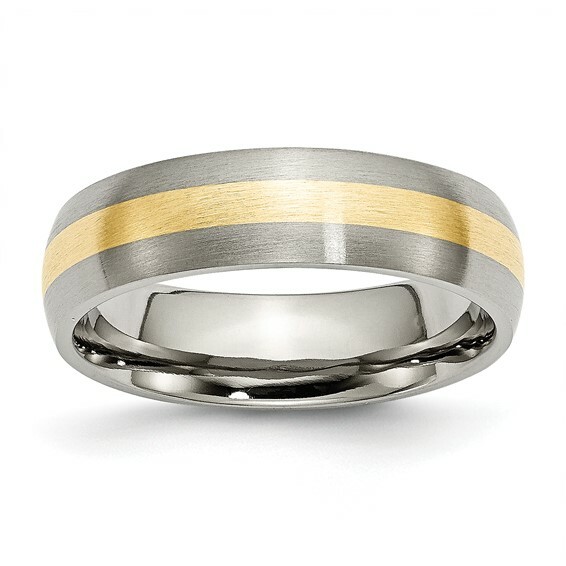 Titanium wedding band has a 14kt yellow gold inlay and brushed finish. Domed center. Width: 6mm. Comfort fit. Made of commercially pure [CP] titanium in China. Got it even faster than expected and in perfect condition. Was just like it appeared online. I'm very happy with purchase.